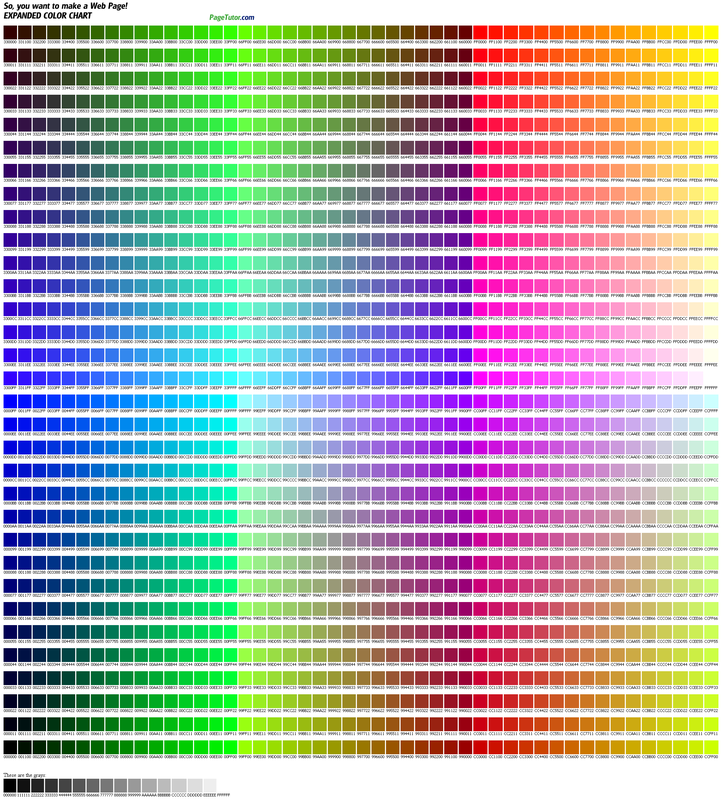 Here is the original simplified list of the 81 "web-safe" colors available shown on a simple HTML color chart. This is the simple web palette color scheme used by the early Macintosh. The hexadecimal codes for each color are included. Using the color table below (9x9), it is easy to select the HTML code for the color that you want. Or, you can get more subtle colors, by using the larger palettes below the ad. Use the table to compare colors. Pick the ones you like, and try them in combinations. and then paste it into your application.